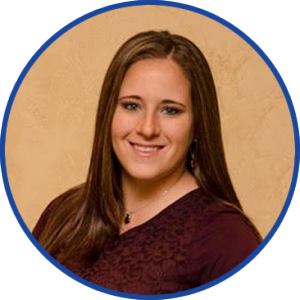 During her senior year at Indiana University of Pennsylvania, Dr. Bethany got a job as a chiropractic assistant in an office with a pediatric focus. She was studying exercise science with the intention of becoming a physical therapist and was helping patients with different therapies in the chiropractic office. Dr. Bethany was amazed at the changes taking place in the younger patients receiving regular chiropractic care. Dr. Bethany was raised in a very conservative and traditional family with a grandfather who was a medical doctor. Her experience at the chiropractor’s office, however, showed her that the body is self-healing and self-regulating through a properly functioning nervous system and that many conditions could be healed naturally, without drugs and surgery. Realizing she found her passion and purpose in life, Dr. Bethany made the decision to enter chiropractic college. During her time there, she traveled on a chiropractic outreach trip to Hyderabad and Delhi, India. She and a team of fellow students provided chiropractic care to school-aged children, seeing over 500 of them. “It made me even more passionate about working with kids.” Dr. Bethany also became heavily involved in learning about the Gonstead Technique. She completed over 1000 hours of study through the Troxell Internship Program run by Dr. Josh Lawlor. A love of making people laugh and seeing them happy keeps things lighthearted at the practice and in Dr. Bethany’s life outside of the office. She enjoys dancing, golfing, reading, traveling and getting outside. She loves the Pittsburgh Steelers and the Pittsburgh Penguins and spending time with friends and family. Get empowered to achieve better health. Contact us today to find out more!